Air sickness is also known as motion sickness and it is very common. Unfortunately, if your career aspirations include working as a corporate flight attendant, you'll need to learn how to control these symptoms. Air sickness is caused by a disturbance in the inner ear resulting from repetitive motion. 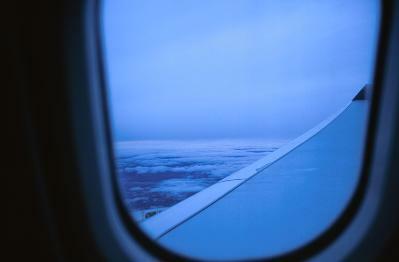 The turbulence experienced inside an airplane during flight can cause very severe symptoms, depending upon the person’s susceptibility to motion sickness. The most common symptoms of air sickness are dizziness, nausea and vomiting, and sweating. To a lesser extent, some air passengers will describe vague symptoms or simply complain of feeling unwell. While it is unlikely you will be able to prevent all of the symptoms of air sickness, the following tips should help at least to lessen the severity. Try to avoid eating or drinking anything but water for two hours before you board your flight. Spicy or heavy foods rich in fat may make your air sickness worse. Avoid alcohol. Alcohol has a tendency to make people feel usually full, and can alter a person’s equilibrium and balance as well. This can cause your air sickness to feel much worse than it might have if no alcohol had been consumed. Try to avoid strong odors. If you are sitting next to someone who's wearing a heavy dose of cologne or perfume, ask if it's possible to be moved. This may help to prevent the nausea associated with motion sickness. Try to sit where there is less motion. In an airplane, this is the middle of the plane over the wings. These are often the calmest seats on the plane. Don’t read if you are prone to experience air sickness. If there is a small vent or fan available, try positioning the vent so it blows softly in your face. Even inside the aircraft, it will feel as if you're getting fresh air. If someone close to you becomes ill, try to move to a different area of the plane or go to the lavatory. Seeing someone getting sick or hearing someone talk about how ill they feel from air sickness may be enough to make you feel sick as well. There are several over the counter medications that can help prevent air sickness. These are to be used for mild cases only. Your doctor can provide stronger medicines if you have a longer trip or if you find that OTC air sickness medications aren't sufficient for you. One of the newest treatment options is a patch that contains scopolamine. This patch has been very helpful in reducing the effects of motion sickness on patients who have used it. However, be aware that both the over the counter medicines and these new medications are likely to make your very drowsy. Even if you don't experience air sickness yourself, you may find yourself called on to assist other passengers who aren't feeling well. Providing the above tips to queasy-looking passengers can help your flights go much more successfully.